Do you have a little one in your life that loves books and story time? Have I got a tip for the most amazing Holiday present for the tiny reader in your life? 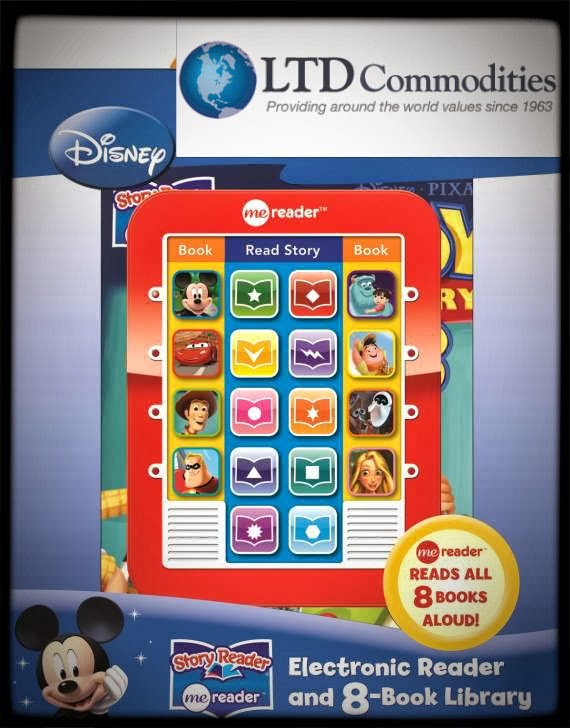 LTD Commodities has added the ME™ Reader and Disney 8 Book Set to their Catalog line up for a low $19.95! The kids absolutely LOVED this reader! After reading a few books using the reader each child got a chance to use it themselves. The reader is completely picture and color coordinated so it is perfect for young children who do not know how to read yet. Once a book is chosen they simply press the coordinating character picture to begin the story narration and sound effects! Each of the pages are given a color that runs across the top of the page and coordinates with the colors on the reader. When you turn the page press the color that matches for the narration to continue. This is a great feature! If the kids are looking at the illustration and take their time turning the page, no worries, the story does not continue until the new page color is chosen, no missed story! The books are all very well known Disney/Pixar films. The books are 24 pages in length making a great story full of plot and fun! The pictures and illustrations are beautiful and straight out of the movies. The books are hardcover and the perfect size for kids laps. The reader is smaller than the books and requires 3 AAA batteries (included). The speakers are on the front of the reader in the bottom right and left corners and the volume is great, though there is no adjuster. The set is recommended for ages 3 and older. I assume due to potential tearing of pages as there are no small parts. Seven kids played with this set and each and every one of them absolutely loved it! They all wanted a turn pressing the buttons and turning the pages. They lit up with joy that they could listen to a story even though they were not old enough to read. It was great for letter and word association, eye hand coordination, color and picture matching as well as vocabulary. This is a must have for this holiday season! 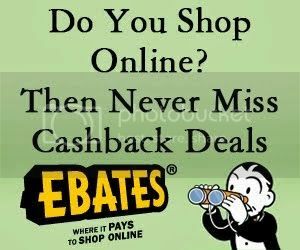 Visit LTD Commodities to buy your reader and 8 book set today! I highly recommend adding the ME Reader and 8 Book Set to your Holiday Shopping List for those special kids in your life! The books and reader are so much fun sure to keep your little one busy all Holiday Season! The Childrens ME™ Reader & 8 Disney Book Set looks like a lot of fun:)for both kiddos and moms! I know my little guys would love to have the “Cars” story to listen to! What a cool gift idea! This is nice. My niece and nephew would love to have this. It looks very entertaining for the kiddos. My daughter would love this! My daughter is starting to be independent in her reading and this would help! This would be great for my grandson. He loves book and he likes all these Disney characters too. Perfect size for his lap . Thanks for the great review. I was considering this for my nephew, but now I know I will be getting it for him. This looks like a wonderful item to help my daughter learn to read, love it!! I think that my three year old would love this set, he loves the disney movies and he is all about things that he can hold and do on his own. That is very cool! I think this would be a great gift for my niece. 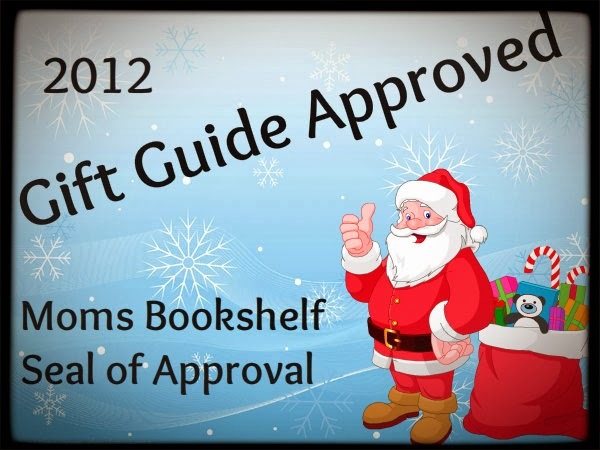 This is super cool, my son loves books that are animated and have sound effects so this one he would really really love. He would probably like Monsters Inc the most. I like that you don’t miss part of the story if your kid is slow to turn the page. These books look like fun! Looks super cool! What are the pages made out of? What a great gift idea. Thanks for sharing. My son would love these. It combines reading and technology, his two favorite things. Nice product! I like how easy it is for children to navigate and the different books. My nephew would love this. Just the eight book set alone would make him happy. Thanks so much for sharing. I like the books included! This looks fun and my grandson would especially love the Cars one!